Patrice: Can you give us a little bit of background about yourself? Stephanie: Let’s see… I just turned 49 years old. I work for Adams County Human Services. I’m a supervisor there for people who do food assistance and Medicaid approvals for the city. Prior to that I worked for Denver County for 13 years, kind of in the same capacity, but I started off as a 911 operator with Denver, did that for 6 years. I had a son who passed away 13 years ago, he was 21 months old. I’ve been a diabetic for about 20 years this year. Yeah. Patrice: When did you get started on changing your health habits? Stephanie: You know, it’s been a long journey. It has been. I always get physical check-ups every year. So, I knew when I had gone that I had developed it throughout that year. And when I first got diagnosed, I didn’t take it very seriously. I started off just being on metformin and I think one of the “zides”, but I didn’t really take it that seriously. I changed my eating habits a little bit, went to a lot of classes and things like that to learn about diabetes and how to maintain it and how to control it, but it wasn’t like a forefront for me. And then I remember researching entertainers that had it and famous people who had it and discovering that many people had passed away from complications of diabetes which was very depressing for me at the time. I remember thinking it’s going to get me in the end anyway, so why even… what’s the point? You know. So, I went through that phase for a little while, and then I got pregnant. Obviously, you can’t be on pills when you’re pregnant, so I went on insulin and I actually liked the shots a lot better than I did the pills. And during the time that I had my son. He was born with a lot of complications and was in very intense medical care. He was born with a very rare chromosome disorder and kidney problems and so he was in the NICU for the first 3 or 4 months of his life and then he came home, and he had to go back. It was a lot, so during that time, I wasn’t focused on myself. I was really focused on taking care of him. He passed away in April, and that August, I was walking around in Walmart and I was like I can’t breathe. I went home and I told my mom that I think I needed to go to the emergency room. I had been dropping a lot of weight, but I didn’t think anything of it. Patrice: You were under a lot of stress! Stephanie: Exactly. So, we went to the emergency room and they started me on the insulin drip. I’m asking the nurse, so when am I going home?! The emergency room doctor was like… you’re in ketoacidosis, you’re not going home anytime soon. I’m a type 2 diabetic, and the doctor had asked if they had ever tested that I was a Type 1 instead of a type 2. They hadn’t. So, she said, well I think you might be what’s known as a 1 ½ Type diabetic. She said if I hadn’t come into the emergency room within 48 hours, I would’ve had a heart attack and died because my potassium levels were just too low. I thought, okay, now I really have to get this under control, but it was like a little a little wake-up call for me. I remember going to a diabetic specialist and he said, “so you haven’t been taking care of your blood sugar for 2 years” and I said… “about that”. So, he gave me some statistics about diabetes that I wrote down. Statistically, he was saying diabetes was the #1 cause of heart disease, the #1 cause of kidney problems, #1 for amputation, blindness… And I was like oh my God! He said, if you don’t control this by the time you’re 40 you will have the heart of a 55 year old white male. Then I started really trying to maintain my diabetes, being on my medication and working out, all of that good stuff. During that time, I found out about gastric bypass surgery… If you had diabetes 10 years and under there was a 93% reversal rate. So I was like that’s what I’m going to do! I’m going to reverse my diabetes and I’m going to be good! 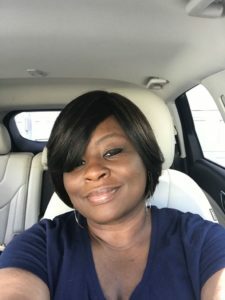 The other deciding factors for me were that I was already on a cholesterol medication, high blood pressure medication, and they were getting ready to re-introduce Metformin… So I was going to be on a whole cocktail of medications, and I didn’t want to do that. So, I went to gastric, and did really good for about 3 months! Lost 70 lb over like 4 months… came off cholesterol medication, the blood pressure medication, and was only doing a little shot of insulin for control. Got down to an A1C of about 7 or 8 from it being a 10 or 11. But, it didn’t reverse it. And that was depressing to me. I went through depression for a number of years and I slipped back. I gained about 20 pounds during that time… that was about 7 or 8 years ago. Now, about 4 months ago, my mom was watching TV and she sees this group called Integrated Health Services that again, reverses diabetes. She’s like we should go check it out because my mom also a diabetic. So, we went and that was really eye-opening for me and I started back on my journey, I’m still on my journey now. Integrative works on the belief that they need to know what kind of diabetes you have. There are 4 or 5 types of diabetes that a lot of people don’t even know about it. They start off doing very intensive blood work and they cut you down to eating only fruits and vegetables and turkey for about 6 weeks. It’s a total body cleanse. So that they can slowly add things back and get down to the root of what’s happening with your body. I did that for about 2 ½ months and my A1C went from a 12 to 9 just in that timeframe. I worked with my nurse from Kaiser as well. She calls me every week and we talk. And it was confirmed that I am a Type 1 ½ diabetic which means that my body produces a very small amount of insulin, so I will always have to be on a little bit of insulin. Kaiser’s mentality is that the diet I’m on is so intense it may not be sustainable and I might have to be on a couple of different insulins. Integrative’s mentality is that there has to be that discipline… if you’re allergic to citrus, are you going to eat an orange? So, now I’m at the point where I’m just trying to figure out what I am wanting to do. This journey has been very helpful to me, in telling my story, because I know I can help other people, and this will help keep me on track. Patrice: I know you already talked about how the Integrative plan helped you change your eating habits… Talk to me about your eating habits before and after you went through this whole journey. Stephanie: Before, I was eating whatever I wanted. I work in a very stressful job… as a supervisor… and so it was whatever I want! You know a lot of burritos, tacos, and candy! Now, I’ve come off the stringent diet I was on, but I’m trying to get back. I don’t think I can be vegetarian, but almost a vegetarian. I had felt so much better. Patrice: I know how you feel. I go to Colorado State University, and while I was in Fort Collins, at school, I went on a vegan diet. It turned into vegetarian, and now that I’m home in Denver, I just eat anything and everything. But, you can so clearly feel the difference, in energy levels, how you feel, the clarity of your skin, etc. Stephanie: You can! And there’s a reason they say, you are what you eat. It sounds crazy, but there’s a theory to it. Patrice: And it’s hard to get back onto that road. Stephanie: It is! We have to change the mentality that we have to eat what our parents eat. You know, so you never look at the different vegetables. I was looking at recipes like what’s a rutabaga? You have to try it. Patrice: I worked at a garden for a couple of months. I was like what are all these vegetables that I never knew existed?! It’s amazing. It’s something that maybe we should be working on… opening the doors to more choices, because a lot of people may not have access to them. And you know, we’re not questioning our parents when we grow up. We stay with what we know. Stephanie: Right, so it’s important to keep an open mind. One of the techniques I used was trying all the different apples. There are so many! And ranking them, my favorite being honey crisps. But doing things like that to expand your palette. Patrice: Are you involved with any organizations? How has your involvement in activities, organizations, groups influenced your health? Stephanie: Not yet, but my Kaiser representative has hooked me up with a couple of options. I’d really like to become a diabetes educator, I think it will help keep me on track. I’ve had such a long journey with it and it’s such a bad disease. It’s growing in leaps and bounds. I think the medical industry has the money in the disease and not in the cure. The doctor at Integrative says they just throw Metformin at everybody, you know Metformin for! Metformin for you! And I really would like to get involved in the black and minority community. There’s an increase everywhere. Type 3 is an Alzheimer’s diabetes… 93% of Alzheimer’s patients are diabetic. Type 4 is an elderly diabetes… 80 years and up. There really is like 4 different types of diabetes. Patrice: What are your exercise habits? Stephanie: I have started exercising. At one point in time I was exercising a lot, right after I had gastric. Every time I do it, you can see the difference within 48 hours, you can see the drop in blood pressure. I was telling my mom, there really is some truth to what these doctors say about working out, it really does work! But, it’s all about finding your motivation and what will work for you. I’m not an at home exerciser, I know I won’t do it. A lot of people like to dance. Dance classes are fun. There is nothing like a nice walk and letting nature talk to you. Helps with stress and is just so relaxing. So just finding what works for you. Patrice: You said your mom was a diabetic… Do you have a family history of chronic diseases? Specifically, diabetes? Stephanie: No, Not necessarily. I was diagnosed before my mom and my mother did not have diabetes. And it’s very interesting who you talk to about whether diabetes comes from nature or nurture. Integrative says there is not a diabetic gene. You may have a predisposition to it, but it comes from the way you were brought up and then stressors in your life thereafter. There are also different theories on how I became a Type 1 ½ diabetic. Patrice: Interesting! So, are there goals you want to set for the upcoming year? Stephanie: Yes! So I have had diabetes for over 20 years and I have been very, very lucky. I will be turning 50 soon, and for some reason I think that once you turn 50 your body changes as a female. Patrice: And you also become at risk for other diseases as well. I believe at 55 for women, there is an increase in risk for many other diseases. Stephanie: Yes, and especially as an African-American woman. So, my goal is to be down to 6% A1C by October. I want to do this before my birthday so that I can avoid the complications that come with diabetes. Patrice: It’s sounds like you’ve learned a lot. And you have already shared with me so much, is there anything else that you would like to share with people? Stephanie: I want to share that it’s not the end of the world. There is so much of a stigma associated with diabetes and what you can eat. And when you tell a person they can’t have any carbohydrates it’s like a death sentence because those are like the foods of life! But it can be done. It can be done. My boyfriend is from Jamaica. Other countries and cultures eat so differently from us. He can eat the same thing every day! And I asked him, how can you do that?! He said, “You Americans live to eat… well, we eat to live.” This really stuck with me. If you just flip your philosophy, you can do anything. If I could tell anything to diabetics it would be that you have to treat it like your allergic to carbohydrates. There’s nothing you can do to change that reaction except stop feeding it to your body. It’s a lovely thing to have in your mouth, but when you think about eating to live… there’s no nutritional value. My Kaiser counselor says instead of telling yourself I can’t have that, say I choose not to have that. It works so much better psychologically. It helps around other people to… they’ll leave you alone if you say I choose not to have that. Instead of saying well I can’t have that and they’re like whyyyy? Trying to bribe you. You’ll be amazed just how much you don’t need that potato. 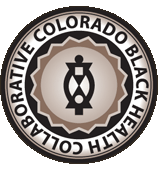 Patrice: Well, thank you so much for letting us get your testimony for the Colorado Black Health Collaborative (CBHC). Our mission is to achieve health equity in the black community. We will be posting this to our website where people can see it and be influenced and touched by your story.